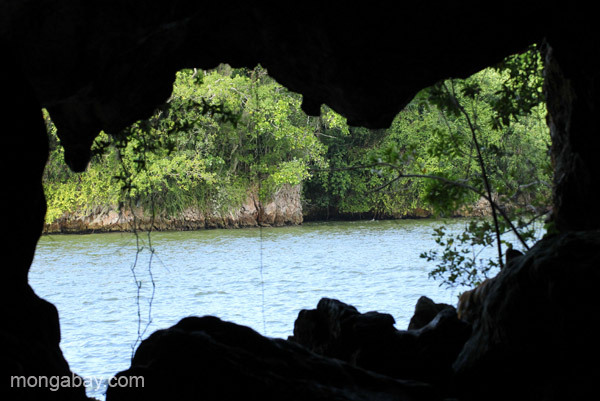 A view from inside the sacred Taino caves in Los Haitises National Park in the Dominican Republic. This picture, titled "A view from inside the sacred Taino caves in Los Haitises National Park in the Dominican Republic. ", was taken in Dominican-Republic by Tiffany Roufs.